City of Yellowknife says the territorial capital is the prime location for a new polytechnic university. While officials in Yellowknife vie for a university, their counterparts in Fort Smith and Inuvik say enough services are already centralized in the N.W.T. capital and the new university should be based in their communities instead. "Education in Fort Smith has been such a huge part of our community," says Lynne Napier-Buckley, the mayor of Fort Smith. "When you look at what's available in Yellowknife, with the Legislative Assembly ... and the tourism that they have in Yellowknife, just as those are very integral to their community, it's the same thing here for education in Fort Smith." Aurora College is headquartered in Fort Smith and has smaller satellite campuses in Yellowknife and Inuvik. But that could change in the coming years. Last month, Education Minister Caroline Cochrane announced plans to transform the college into a polytechnic university, based on recommendations from a foundational review. She did not have a definitive answer for where its main campus will be. What is the future of post-secondary education in the N.W.T.? Napier-Buckley supports upgrading the college, but wants the headquarters to stay in Fort Smith. That's because centralizing post-secondary education in Yellowknife would concentrate services and jobs in the already saturated capital city, she said. 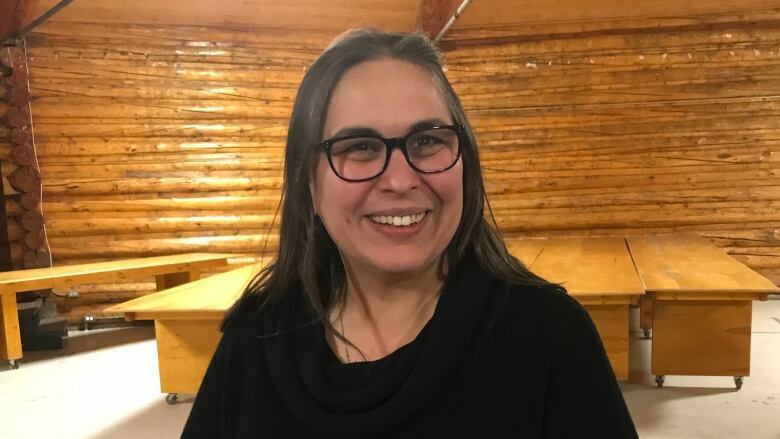 "It's taking these decision-making positions outside of smaller communities [and putting them] into Yellowknife, and it's a huge problem," Napier-Buckley, said. The Aurora College review highlighted issues with student housing and daycare, as well as problems with inter-campus communication. It recommended making Yellowknife the centre of the polytechnic university. Napier-Buckley called the review "extremely demoralizing," and said there was a lack of consultation with college staff, community, and Indigenous governments. Clarence Wood, a long-time town councillor in Inuvik, also disagrees with making Yellowknife the post-secondary hub of N.W.T. He wants to see an expansion of the college in Inuvik. "There's been too much centralization of services in Yellowknife," he said. "Things like this should be built in the region. If you look at the economic activity and so on, it's pretty low in the region, so I think it would be a real boost." 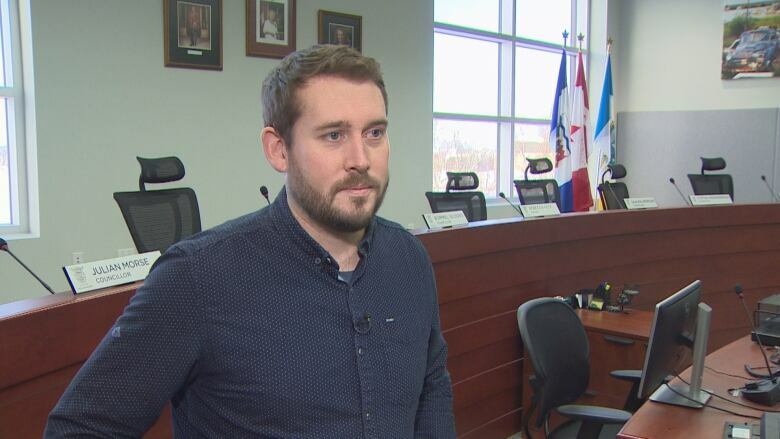 But Yellowknife city councillor Julian Morse says having a university in Yellowknife doesn't have to come at a cost to Fort Smith. "I honestly think that as an institution grows, that growth could spill over into [Fort] Smith as well, so you could actually see [Fort] Smith gaining from the collective tide rising all the boats," Morse said. He's been leading the movement to bring the university into the capital. Centring post-secondary education in Yellowknife would be a boon for the city's economy, and remedy some of Aurora College's current struggles, he said. "What we have right now is a very small college. They are having trouble attracting students," he said. "What I've been advocating for is something much bigger. A polytechnic university is a much different thing from what the college is currently, so I would like to see that kind of institution centred in Yellowknife." With recreational facilities, services such as a hospital and Taiga Environmental Lab, and transportation to the diamond mines, Morse said the city is well-positioned to host a northern university. But competition for a thriving northern university extends beyond the N.W.T. — Yukon College in Whitehorse is well on its way to becoming Yukon University. The "hybrid" institution plans to offer a mix of diplomas, certificates and degrees in Northern-focused programs starting in the spring of 2020. Morse isn't phased by this progress and says the North can support more than one institution. The Northwest Territories offers areas of research that Yukon doesn't, he said, citing the N.W.T. 's unique systems of Indigenous government and major mine remediation projects. "My hope is that the [N.W.T.] gets moving and does start to play catch-up with Yukon College," he said.